Kiwink by Rtone | LiFi, Visible Light Communication (VLC),… for what purpose? 07 Aug LiFi, Visible Light Communication (VLC),… for what purpose? LiFi and VLC are emerging wireless communication technologies based on light. While LiFi offers only high data rate bidirectionally, VLC is compatible with both rates and can work unidirectionally as well as bidirectionally. VLC, and here more specifically Kiwink®, have the power to enable any device equipped with an LED to communicate with a smartphone using the phone’s camera and flash. The technology is simple and easy to implement, but applications and use cases are still being imagined. We have come up with a few of our own to stimulate creative ideas and bring innovations to life for tomorrow that are not yet possible today. Simple, first of all, because it requires no hardware modifications to the device in the case of upstream communication (device to smartphone). For downstream communication, all that is required is half a day’s work for an electronic technician with the addition of passive protection components (specialists will understand). Easy, because the LED used is already there in the device, as long as it is connected to a microcontroller. All that remains is to integrate the software for sending and receiving messages. The LED becomes both a transmitter, flashing in a way that is invisible to the human eye, and a receiver picking up flashes of light emitted by the smartphone or another LED aligned with the first. Finally, the possibility of making a connected product from a non-connected product quickly and cheaply. VLC, low-speed communication, will not replace current NFC, RFID or BLE technologies. It will complement them. How? Firstly, by presenting additional connectivity in cases where one of the current technologies cannot function (fault, low battery, increased security level of a system etc.). Secondly, by responding to a cost problem for which the usual technologies do not provide a solution (a BLE function costs $1 to $2 per million items, compared with a few cents for the LED solution). Here we present three use cases that can be supplemented, challenged etc. With the emergence of smart locks and the inevitable disappearance of bunches of keys from our pockets, the opportunity of enabling access based on exchanges of secure codes between the lock or entry terminal (automatic gate, access airlock etc.) and a smartphone becomes a reality. 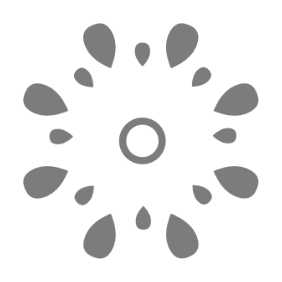 As presented above, this technology can be seen as a complement to an existing technology to reinforce security or as a back-up solution, or equally as a unique solution for low-cost secure electronic access. Access control is not limited to people accessing secure areas (home, office, specialist spaces, automatic teller machines etc.). The concept can easily be extended to cover access to secure data (contactless payment, identification, workstation etc.). Maintenance, or how to reduce intervention costs drastically? Who has never encountered a case of a maintenance technician making a first visit to diagnose a fault and then returning with the right spare parts? This type of situation occurs equally frequently in our professional and private lives. Greater satisfaction on the customer side, as the technician only makes one visit, more quickly and with the right spare parts. The time the equipment is out of action and the time the user has to be available are both considerably reduced. All this is possible simply by filming the LED of the device in question, which emits a signal corresponding to a fault number. This is sent via the smartphone to an IoT platform, enabling the after-sales service department to source the parts and schedule an intervention as quickly as possible. Making products connected that are not connected now. 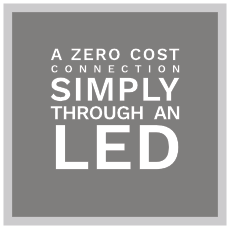 The development costs and time scales are limited, because most products already have an LED. Creation of a database of experience enabling product quality to be tracked and improved. Electrical appliances, or how to obtain usage data from thousands of users? Why not replace a telemarketing campaign with information reported by the user’s smartphone, collected directly via the LED? Given that a telephone campaign will typically involve 1000 users at a cost of €600 to €1000 per user, it would be much more economical to consider using a device equipped with a connected LED. This would enable information to be reported from dozens or hundreds of thousands of users for a cost per user of less than €2. The only constraint is finding a good reason for the user to film the LED. It is thus up to the marketing teams to imagine the best scenario. VLC communication has a future, and the scope for inventing new applications for the technology is infinite!